This Comp Ultegra Di2 version of the ever present Specialized Roubaix endurance road bike range is complete with a full carbon frame and fork, Shimano Ultegra 2x11 Di2 drivetrain and matching hydraulic brakes! Shimano's Ultegra Di2 system is more than just electronic shifting, this shifting is quicker, more precise and customisable! Meaning you can literally have this system set up to what would suit you best. 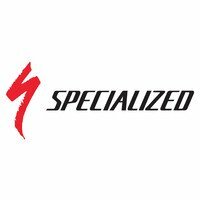 Specialized coined the term endurance road bike to describe the game-changing bike they launched in 2004 - the original Roubaix. Their goal was to create a road bike with engineered-in comfort features that didn't compromise its speed potential. The Specialized Roubaix design has since been vindicated with four victories in the hardest test in the road race calendar - the event that inspired the bike's name - Paris-Roubaix. Specialized really did create a carbon road bike you can ride over cobbles without feeling every bump. In 2017 Specialized raised the bar by several notches by retiring the Roubaix's original Zertz 'jelly' shock absorbers. Instead, compliance is achieved via its lighter weight carbon layup and an all-new Future Shock - that is a 20mm-travel lightweight shock inside the top of the head tube that suspends the rider, not the bike. Within a few months of it's launch, Cycling Plus reviewers hailed the Future Shock-equipped Specialized Roubaix Comp as their 2017 Road Bike of the Year. To put this award in context, the Roubaix was chosen from a long-list of the 25 best road bikes this magazine's most experienced testers had reviewed over the previous year.